beauty & soft & sparkle. - Easy & Simple Navigation. 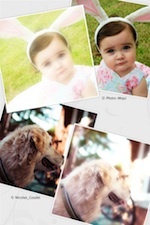 - You can accentuate your photos with beauty & soft effects. - Let your photos shine as much as you like. - You can change sparkle shape and color. Beauty & Soft So Sweet & Lovely. Lovely Sparkle Sparkle! Sparkle! Sparkle!